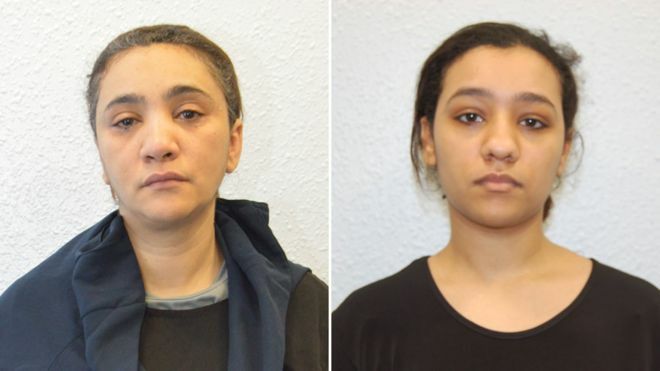 Eye On The World: UK, Mother and daughter jailed for planning a terrorist attack on British Museum. UK, Mother and daughter jailed for planning a terrorist attack on British Museum. (London) Yesterday saw the jailing of a 45 year old French-Moroccan mother and her 22 year old daughter for planning to murder death kill their way across the British Museum because they didn't like non-Muslims. Their journey to prison began when Mina Dich the mother divorced her husband and became a ultra pious muslim and brainwashed her daughters to the beauty of radical Islam. Which is why in 2014 Rizlaine (the 22 year old above) tried to bugger off to Syria. she was caught and brought back home and after a few years of social care was deemed to have throw off the shackles of jihad and become a normal citizen. Safaa Boular the younger daughter was next in line for a life of Jihad and in 2016 she married over the net ISIS terrorist 32 year old Naweed Hussain who was killing innocent people inside Syria at the time. He encouraged her to drop out of school and try to join him in the new bloody Islamic caliphate being carved out of the Levant. Unfortunately for her (and the rest of us) she was stopped at the airport. After he was killed in 2017, she decided that she had to make the kuffur pay and set about planning a terrorist attack in the Uk. Thankfully the British security services had been keeping tabs on her and her family and arrested her and banged her up in a prison . 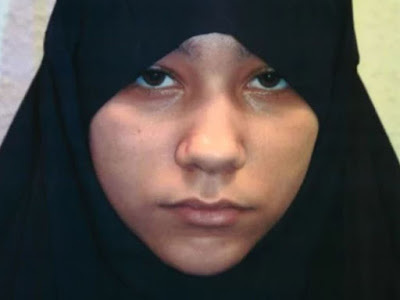 Angry at how her sister had been prevented from murdering their way across London , Rizlaine and her mother plotted revenge by planning to stab their way across London before achieving martyrdom by being shot by the police. and so after they bought knives and rucksacks prior to their planned terrorist attack, the police kicked in the door of their home and put a bullet in Rizlaine , her mother was picked up at the prison that Safaa was locked away at and yesterday 22 year old Rizlaine was sentenced to a minimum term of 16 years and mummy dearest was sent away for six years and nine months. Safaa Boular who was found guilty earlier on this month will be sentenced net month. A fourth person, Khawla Barghouthi, who was a friend of Rizlaine, faces jail for not alerting authorities to the plot. All 4 are now claiming to have seen the error of their ways.